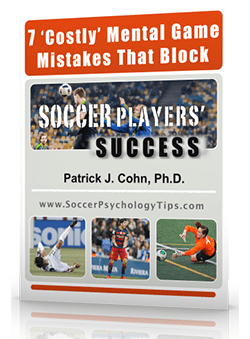 How do you respond after playing a lackluster soccer game? 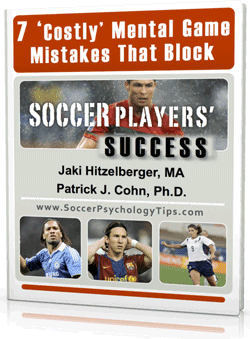 Can you bounce back after a bland soccer game and push to new performance heights? Think of a time when you played a so-so game… How did you feel afterwards? Did it motivate you to play harder and look for ways to improve your game? Your lack of motivation impedes your performance on the field. Motivation and belief impact each other. 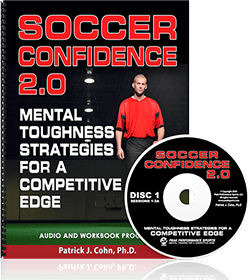 If you believe in your abilities and skills as a soccer player, you will be motivated to look for ways to improve your game. Motivation helps you leave the last game in the past and helps you focus on expanding your game in the present. The US soccer team faced challenging odds to merely advance past the Group round and into the knockout rounds of the 2014 World Cup. While the US soccer team started strong with a victory against Ghana and a tie against Portugal, the Americans produced a lackluster effort in their final Group game against Germany. The German team continued to press forward and scored ten minutes into the second half to secure a 1-0 victory over the US. Despite a lackluster performance and loss to Germany, the US soccer team did enough to make it out of their Group and into the round of 16. The US soccer is highly motivated as they seek to continue to compete on the international stage. US defender Matt Besler was able to see the positive in the US team’s performance during the Group stage. Besler also realizes that the US squad needs to find ways to perform better in order to advance further in this World Cup. US Coach Jurgen Klinsmann views the Round of 16 as a new beginning and believes his team can raise their level of play. Focus on the positives in your play. What did you do well? What can you build upon for the next game? See each game as a new opportunity. Stay focused on the current game and look for ways to raise your game to the next level.